Patients with Parkinson’s disease often suffer from debilitating chronic pain, but research indicates that a long-acting opioid-based treatment may be safe and effective. Professor Claudia Trenkwalder, MD, of Paracelsus-Elena Hospital in Kassel, Germany, and colleagues assessed the analgesic efficacy of prolonged-release oxycodone-naloxone (OXN PR) in Parkinson’s patients with severe, chronic pain. All patients enrolled (n=202) had Hoehn and Yahr Stage II-IV Parkinson’s disease and at least one type of severe pain with an average 24-hour pain score of at least 6 on a 10-point scale. The primary endpoint was average 24-hour pain score at 16 weeks, and secondary endpoints included frequency of rescue medication use, percent of responders (≥30% reduction from baseline) in 24-hour pain at 16 weeks, and percent of responders for Clinical Global Impression Improvement (CGI-I) and Patient Global Impression Improvement (PGI-I)at 16 weeks. Patients were randomized to either oral OXN PR (n=93; oxycodone 5 mg and naloxone 2.5 mg 2x/d) or placebo (n=109) for 16 weeks, with full analysis population being 88 patients vs. 106 patients. Least squares mean average 24-hour pain score at 16 weeks in full analysis population was 5.0 (95%CI; 4.5 to 5.5) in the OXN PR group compared to 5.6 (5.1 to 6.0) in the placebo group (difference −0·6, 95% CI −1.3 to 0.0; P=0.058). Although the primary endpoint was not met, statistically significant differences were observed for secondary endpoints that indicate a positive effect. OXN PR was associated with statistically significant improvement at week four (P=0.018), week eight (P=0.011), and week 12 (P=0.021). When taken in line with study protocol, OXN PR was associated with a significant improvement in average 24-hour pain score at week 16 compared to placebo (P=0.010). Researchers also observed a greater responder rate for 24-hour pain control with OXN PR (P=0.021), less use of rescue medication, and significant improvements in CGI-I (P=0.019) and PGI-I (P=0.022), as well as improvements in sever musculoskeletal pain (P=0.023) and severe nocturnal pain (P=0.010) compared to placebo. Overall, nearly the same proportion of patients taking OXN PR or placebo experienced adverse events (65% vs. 70%), including treatment-related adverse events (57% vs. 57%) and serious adverse events (5% vs. 6%). Treatment-related nausea (17% vs. 9%) and constipation (17% vs. 6%) was more common in the OXN PR group compared to those taking placebo. 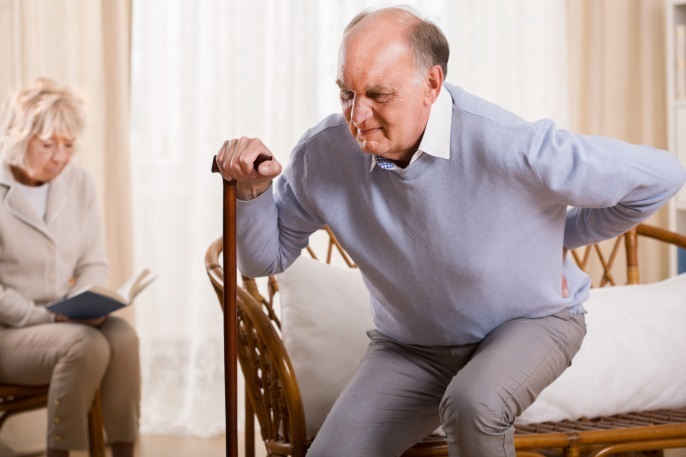 Despite not meeting the primary endpoint, the study results imply a positive role for OXN PR for Parkinson’s pain, and the researchers encourage further research to be conducted on OXN PR in this population. Trenkwalder C et al. Lancet Neurol. 2015; doi:10.1016/S1474-4422(15)00243-4.